A couple was fined for overstaying at a car park because the queue was so long they could not leave. Donna and Darren Jacques were back at their car in the Stockton car park with time to spare, but they could not leave for another half an hour due to grid-locked traffic. They appealed against the £100 fine but it was upheld by the independent ombudsman POPLA, which said the couple was still using the car park despite them trying to leave. It said they should have bought a new ticket to cover the time they spent queuing. Car park operator ParkingEye had fined the couple, producing CCTV photos of them leaving the car park late. The couple, from Billingham, had taken their two children to a firework display on Bonfire Night last year. Mrs Jacques said: "We have never disputed we were half an hour late, but you don't pay to sit in a car park. "We couldn't physically leave. "There's CCTV on the entrance, which is the same as the exit. I don't know if they've seen us coming back to the car. "It feels like they're pushing you as far as they can so you will just give up and pay." POPLA said the couple were still using the car park's facilities "regardless of whether they considered themselves to be parked". Acknowledging the couple had paid for two hours parking, it added "this does not detract from the fact that they were 34 minutes over the time paid for." "The parking operator, as stated on the signage, allows motorists to pay for additional time if required before leaving. "It is reasonable to believe the appellant was aware they would not leave the car park within the timeframe they paid for and therefore was able to purchase more time but failed to do so." Stockton North MP Alex Cunningham has called for action on parking companies after receiving complaints from constituents. ParkingEye has since cancelled the Jacques' fine as a "goodwill gesture". A ParkingEye spokeswoman said the company followed the British Parking Association's "strict" code of practice and welcomed any legislation that aims to "drive consistency and improve processes". "ParkingEye operates an audited appeals process and encourages people to appeal if they feel there are mitigating circumstances. "If a motorist disagrees with our decision they have the option to appeal to the independent appeals service (POPLA). "In this case the parking charge has been cancelled as a gesture of goodwill." "We [Smart Parking Ltd] have cancelled the charge as an act of goodwill". Obviously not because of the bad publicity the initial act of greed attracted. 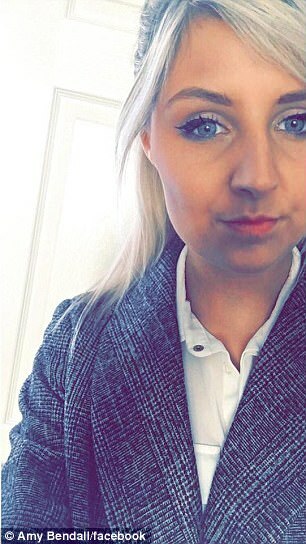 An NHS worker was stunned when she was given a £100 parking fine - even though she was saving a man's life after he collapsed in the street. Margaret Kidson rushed to help the man, who was having an epileptic attack, outside a shopping centre in Kent. The 60-year-old looked after him and made sure he wasn't hurt, but this took her 11 minutes over the time limit. When she was sent a £60 fine she appealed, confident that her excuse would be deemed reasonable. But operators Smart Parking Ltd - who enforce fines at the Erith Riverside Shopping Centre - threw out her protest, and upped the fine to £100. However this morning a spokesman told Mirror Online that the fine had been cancelled "as an act of goodwill". She told The Sun before the hefty fine was written off: "I think it's disgusting. I was coming to the aid of someone." When she spotted the man in October, she gave him first aid to ensure he did not choke on his own vomit. She stayed with him for 20 minutes, saying that it would not have been safe to leave him on his own. Margaret, who works in the drug and alcohol service at the nearby Erith Health Centre said: "You can't leave them, they could die." She said she waited by his side until nurses arrived to help him - not expecting to be hit by a fine. In total she was with the man for around 20 minutes, meaning she would have otherwise been back comfortably before her time ran out. Guidance from the Epilepsy Society says anyone helping a person having a seizure should stay with them, and call an ambulance if it does not stop within five minutes. After the seizure ends, the patient should be put in the recovery position, and first aiders should stay with them until they are recovered. A spokesman from Spark Parking Ltd said: “We have cancelled the charge as an act of goodwill." A driver was stunned when she was slapped with £100 parking fine for overstaying by just two seconds. 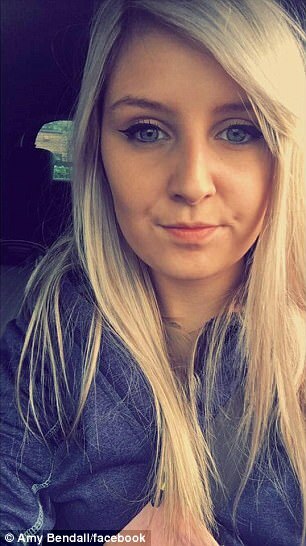 Amy Bendall, 22, left her car in the Middleway car park in Burton town centre after visiting a local gym. 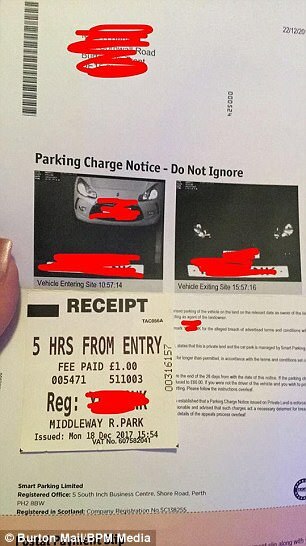 She paid for her five-hour stay, but four days later she was shocked to receive a parking fine notice from the parking operators. Ms Bendall said: 'I had gone to the gym and then into town. I checked the time and paid for the five hours I had been there, but then I got a ticket for staying two seconds longer. 'You would have thought there would be a bit of a grace period. It look me a little longer to get out of the car park because I got stuck in a queue. In the notice it said she paid the fee within 14 days, it would be reduced to £60. But as she had kept her receipt, Ms Bendall decided to appeal the decision and the company cancelled the fine when she informed them about what had happened. A new system is in operation at the Middleway car park, which serves businesses including Matalan, Bella Italia and Nando’s. It means shoppers can get four hours car parking for free, but will have to pay if they want to leave their car for longer. Five hours costs £1 and a full day costs £10. 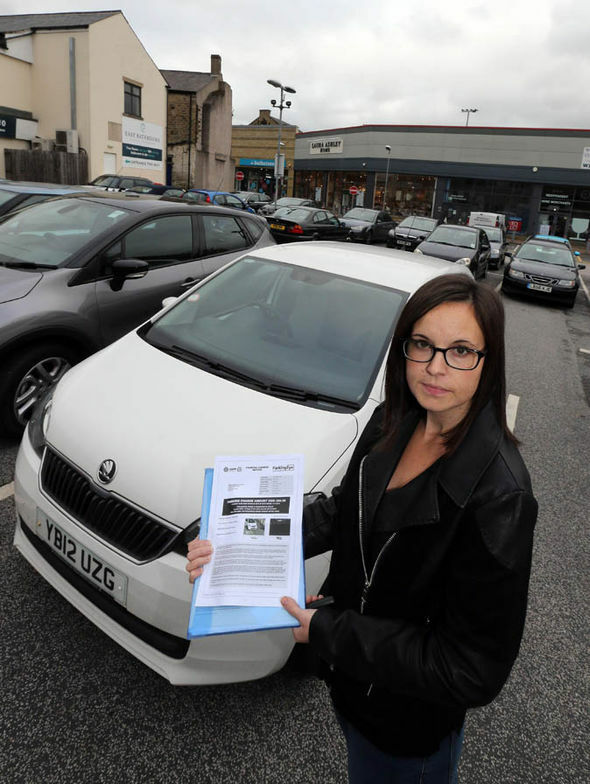 A spokesman from Smart Parking confirmed that the fine issued to Miss Bednall had been cancelled. He said he would be unable to comment further, but added all information was available to customers on signs in the car park. Personally speaking, if I had overstayed by a few seconds I would take this all the way to court and make them prove that I was parked for the entire time. A mum-of-two is furious that she faces a £155 bill for a seven second overstay in a pub car park. Leonie Isaacson, 52, was handed a penalty charge after parking outside the Barley Mow in Histon on Saturday, February 17. Her brief stay between 8:06:03 and 08:11:10 contravened the five minute grace period for motorists. The Cambridge resident said she had only been stopping to buy a loaf at the bakery opposite and felt the parking policy was "over the top". 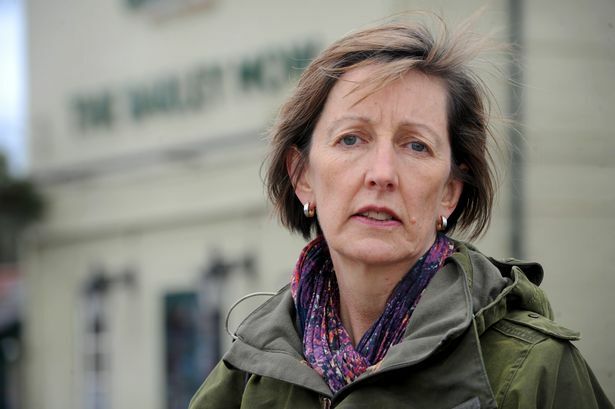 But the Barley Mow's landlady, Dore McCann, has hit back saying people have misused her car park for years at a cost to her business. She said she had faced a barrage of abuse since the introduction of the new system. Ms Isaacson, a learning development consultant, routinely drops off her son for sports practice in Histon. "I go to Barkers Bakery to get some bread," she explained. "I parked as usual at the Barley Mow and just nip across." "I hadn't noticed that they had stuck up these notices about the parking so it was a bit of a surprise to receive that parking charge." 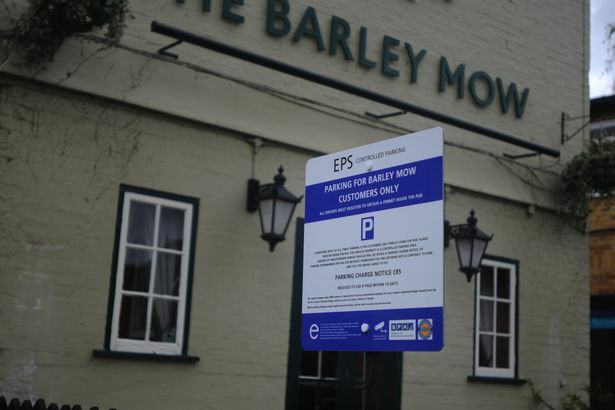 The Barley Mow introduced a new parking system on February 6 to crack down on non-customer usage. Pub customers must register their car's registration number on a tablet to ensure they are protected for 12 hour free parking. Penalty fees start at £85, falling to £50 if paid within 14 days. Ms Isaacson challenged her penalty with ZZPS, which provides customer services for Enterprise Parking Solutions Ltd. But because of the extended correspondence she faces late payment and additional administration charges, taking her total bill to £155. 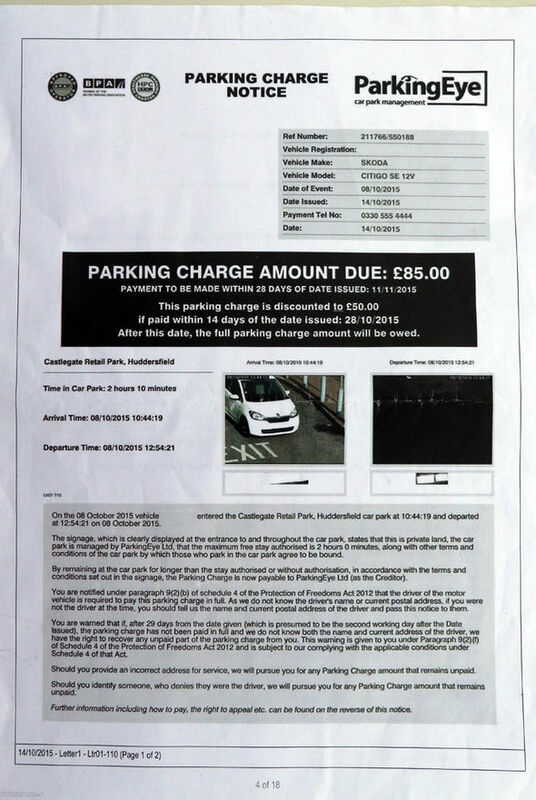 The company said it could not check the calibration on the car park's camera unless an appeal was lodged with POPLA - an independent appeals service for parking charge notices. But Ms Isaacson was unaware of the 28-day window to register such an appeal and is left "frustrated" by the whole experience. 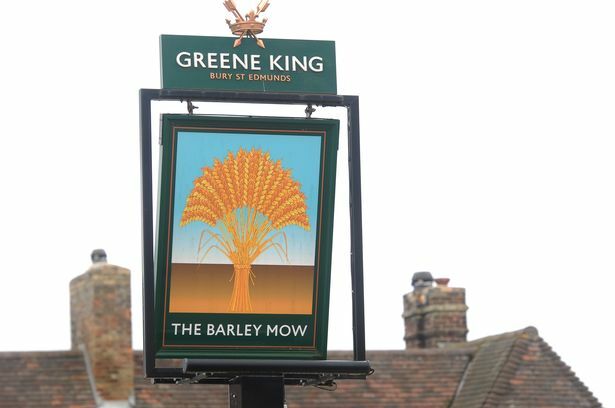 "I feel for the Barley Mow," she said. "But it's not great for customers. I work with a number of people who live in Histon and they are all shocked. It's pretty tough. "If it had been a couple of minutes I'd have gone 'fair dues'." "At eight o'clock in the morning, there's no trade and the pub isn't open to get a permit. It's seems a little bit over the top and a bit unfair." Ms Isaacson said she had never received a parking penalty charge before. She added: "The last notice talks about debt recovery. I don't want a bailiff at the door. It's a bit intimidataing." But pub landlady Ms McCann told the News that the introduction of the new parking system at the pub had seen her constantly abused. "For 24 years I've gave my car park free to the village," she explained. "Unfortunately our car park is being used constantly by people for five minutes. It's being used permanently. "I pay a huge amount of rates, a huge amount of rent. I've lost hundreds of thousands of pounds worth of business because I wanted to be neighbourly to the village." Ms McCann emphasised that the car park was private property there for the benefits of customers but was always being used by local shoppers. Her stocktaker and delivery lorries have on occasion been unable to stop outside because the car park was full. 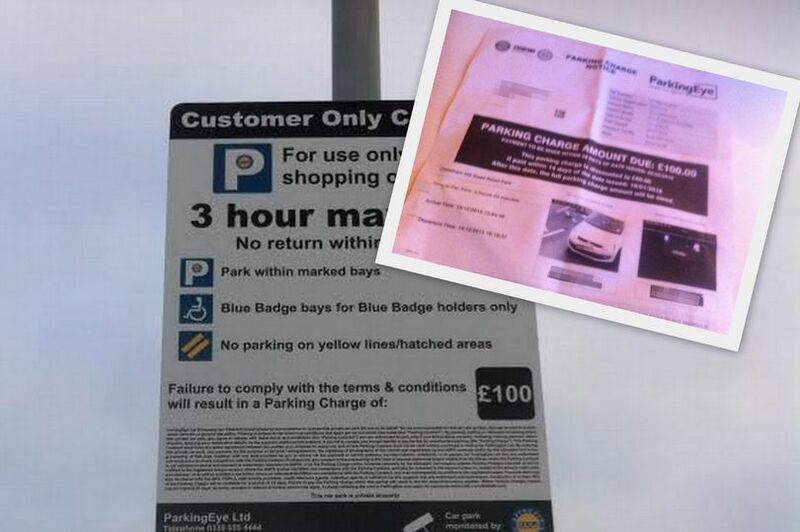 A total of 11 signs have been put up in the 16-space car park, but people still challenge penalty charges. "I'm still verbally abused via my Facebook and TripAdvisor," she said. "I'm constantly under a barrage of abuse. "If people used my car park correctly I wouldn't have done this. The car park is for customers only." Ms McCann said that she has a long list of tickets she has cancelled for people who have apologised for mis-using the car park. But other drivers have entered the pub making demands and she claimed one person had even thrown a bottle at her. "It's not an acceptable for people to behave like this," she said. "I parked in an Aldi for over an hour and a half, I got a ticket and I paid it immediately. As a driver I should look at the signs." She added that a lot of people in the village were on her side and understood she was protecting private property. "Everybody does five minutes and then this car park is permanently full," Ms McCann said. "There's no room for my customers." "I'm hoping in time it will adjust." The sad thing is that this is just the tip of the iceberg. Once again the motorist has to prove her innocence. And once again she could not have been parked for the whole time she was in the car park. 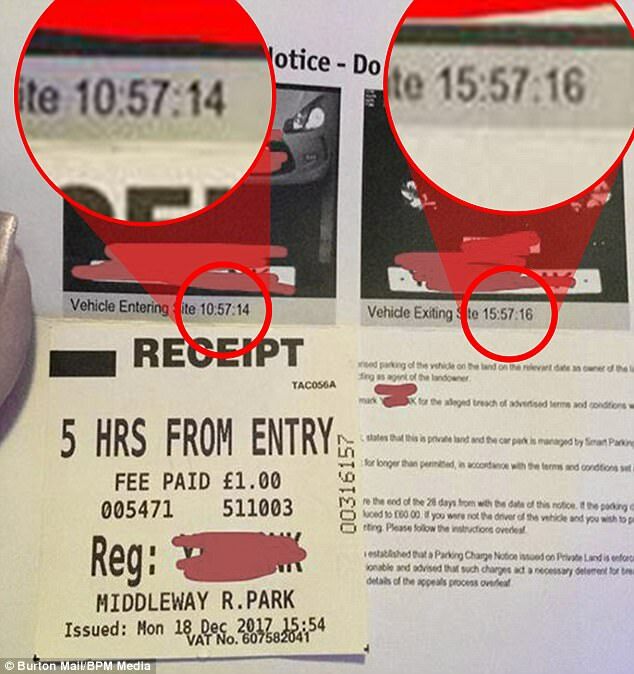 A MOTHER was left shocked when she received a £185 bill for overstaying her parking time by two SECONDS after changing her son's diaper. Liz Taylor was taken to court after parking her car at the Castlegate Retail Park in Huddersfield, West Yorkshire, October last year. Mrs Taylor, who works as part-time as a pharmacy technician, thought she had plenty of time to do her shopping since the car park offered two hours of free parking. She was shopping at Laura Ashley and walked further into town when she could not find what she was looking for. Mrs Taylor was further delayed when her two-year-old son Zac needed to have his nappy changed. A fine was issued a week after the incident, demanding £85 for overstaying in the parking lot. Because she did not respond to the fine, she received a court summons to Huddersfield County Court on october 11 this year. Mrs Taylor said the fine from ParkingEye Ltd is more than she earns a week in her job. She was initially offered a £30 discount on her ticket if she paid within 14 days of it being issued, but now she was told by the court to pay the whole sum. The mother claims to have done everything to leave the car park on time. The car park now allows cars to stay for free only up to 90 minutes. Speaking about the incident, she said: "A week later I got a letter from ParkingEye Ltd demanding £85 discounted to £50 if I paid within 14 days. "New legislation means motorists are allowed a ten-minute period of grace on top of the permitted two hours. So this meant I was just two seconds over." She continued: "I just don’t think it’s fair especially as I made every effort to get back and out of the car park on time. "And how do you know that their cameras are accurate to two seconds?" The company allows for appeals to submitted but because she failed to provide evidence she shopped at the retail park, her appeal was rejected. A ParkingEye spokesman told the Daily Mail Online: "People using this car park have a responsibility to make sure they do not overstay their time, otherwise a parking charge will become payable." "If however, they feel they should not have received a charge due to mitigating circumstances, we encourage people to submit an appeal, and instructions about how to do this are detailed on all communication and on our website. "On this occasion the driver failed to provide any evidence that she had shopped on the site and therefore her appeal was rejected." 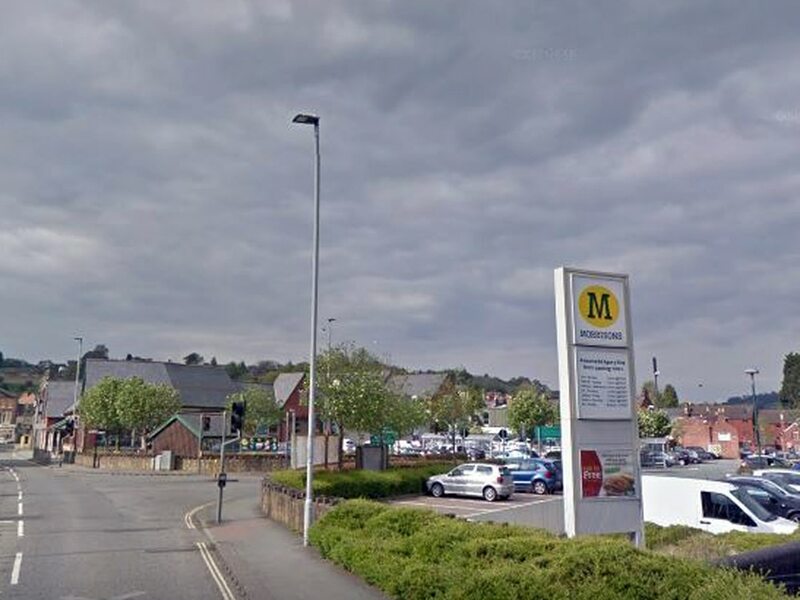 A couple who made two short trips to Welshpool supermarket in two days have been hit with parking fine accusing them of spending almost a whole day parked in the car park. Morrisons in Welshpool. Photo: Google StreetView. Pip Morris had visited Morrisons on November 23 for five minutes, before her husband visited the following day also for a short time. 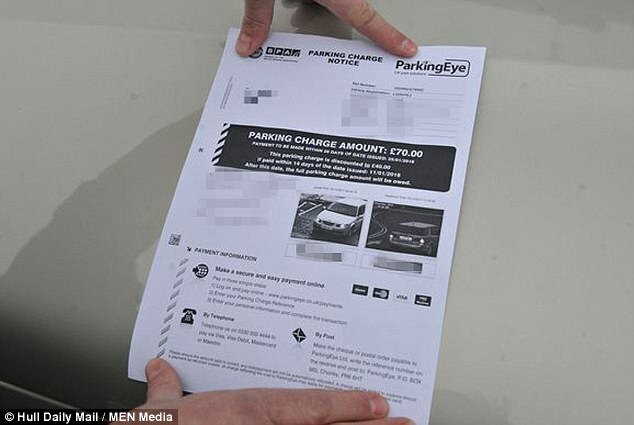 So the couple were stunned to receive a fine from Parking Eye this week, claiming they had left their car in the car park for almost 24 hours. Pip was left angry and confused over the situation, and has contacted the company, which runs parking on behalf of the supermarket, for answers. She said: "I had a parking ticket saying I’d parked from around 5.30pm until 10.35am the next day, totalling to around 17 hours or so, which I hadn’t. "I’d gone in on the evening of November 23 and sent one of the kids in and returned five minutes later. "Parking eye haven’t given me a genuine reason for their error. "They and Morrisons both made me feel as they were doing me a favour taking the charge from me. It’s not nice to have these fines, especially over Christmas, it is very much unnecessary as they are not genuine." Pip said: "I was confused. I thought that somebody had used my car but I can recall when I used my car, as can my husband with his charges. "I am just very annoyed that the company don't have their CCTV on to deal with this." “I am just very annoyed the company doesn’t have their on CCTV to deal with this.” Other shoppers have also reported suffering from the same problem and have threatened to boycott the store. Parking Eye was contacted for a comment. A shopper has warned fellow motorists of a 'faulty parking system' which saw him slapped with a fine for visiting Asda twice in one day. Jamie Stark, 40, who lives in east Hull, went to Asda Mount Pleasant with his mother and brother on December 23 to stock up on food for the festive period. He returned to the same shop in the afternoon when he realised he had forgotten a number of items. But, soon after, he received a note saying he had to pay a £70 fine - with the store saying he had parked for more than five and a half hours. Mr Stark has spoken of his disgust at receiving the fine and said a 'fault in the system' meant the camera did not recognise he had made two trips. 'I got to the car park the first time at 8.52am,' he said. 'We shopped for around two hours and then left at 10.57am. I know that because I found the receipt from the supermarket. 'I went back to Asda at just after 2pm because I'd forgotten to get some bottle bags, and was only there for about five minutes. It is the second time in just weeks that an Asda car park - managed by company Parking Eye - has fined someone who made two separate trips. Grimsby woman Sarah Walton was fined £70 for her trip to Asda, and was accused of parking for 14 hours. Jamie said he had searched online and had found other people who had been fined for 'double dipping' - a term created to describe people who visit the same car park twice in one day. The Hull man has appealed against the fine - which if paid within 14 days is reduced to £40 - and said he expects for it to be rescinded. A Parking Eye spokesman said: 'We encourage people who have received a parking charge to appeal if they think there are mitigating circumstances, and instructions about how to do this are detailed on all communications and on our website. Jamie threatened to do his future shopping in Morrisons instead, where he would not run the risk of a repeat fine. He is now warning other motorists to be cautious of the car park. 'If that was my mum and dad, they would have rung up and paid it,' Jamie said. 'I knew I was not paying. I would have let them take me all the way to court before I parted with any money. A COUPLE have been hit with a £70 parking ticket – for visiting an Asda car park twice in one day. Baffled mum Sarah Walton hit out at the "incomprehensible" fine after bungling inspectors assumed she'd clocked in for a 14-hour stay at the store in Grimsby. In fact, her car was there twice that day - once briefly in the morning, and then again later at night. Husband Dennis had briefly stopped there to use the cash machine on the way to work in December - before she returned that evening for the weekly shop with her daughter. Sarah thinks Asda's hi-tech camera system didn't pick up Dennis leaving, and assumed the car spent 14 hours there when she drove out later. She said: "I think that this is a massive joke, who would possibly want to leave their car in Asda car park for 14 hours. "Even if you were using it as somewhere to park while you were at work somewhere nearby, you aren't going to be there for 14 hours it is ridiculous. "My husband has the information that shows when he clocked into work and when he clocked out, so we are able to prove that he has not left the car there for that length of time. "I just would have thought it would have clocked onto someone that this must be a mistake." The error comes just weeks after a hairdresser was fined £50 when a malfunctioning camera system fined him £50 for overstaying when didn't even park because of heavy traffic. And last year a motorist was stung for £100 after cameras failed to notice that his car was parked on top of a tow truck. Asda have since spoken to Sarah and apologised for the error. A spokesman said: "We would like to apologise to Ms Walton for the mistake made by our parking operator and we are pleased that the fine has been cancelled." Wonder how many people paid up without question? A woman has spoken of her anger after she was fined for parking for two hours when a sign said it was free for THREE hours. 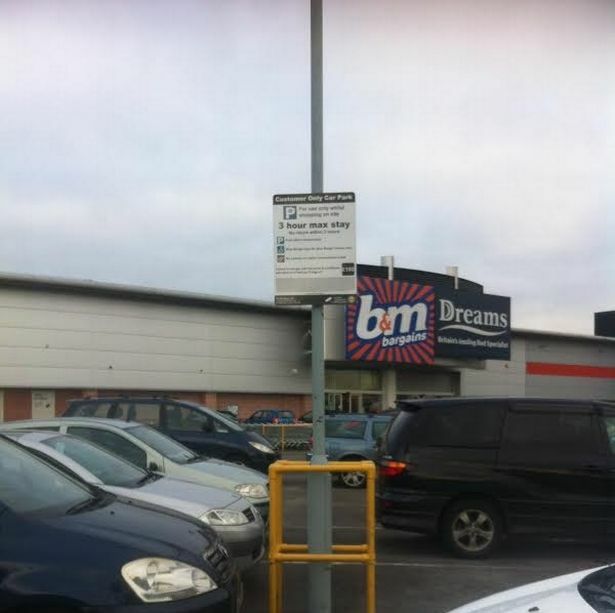 Tracey McConville, from Blackley , parked at Cheetham Hill Retail Park on Saturday, December 19, for a shopping trip with her daughter. She arrived at the car park just before 2pm and stayed until 4.18pm, keeping to the three hours maximum stay rules, which is advertised on a sign. Ten days later she was shocked to receive a parking fine in the post from car park firm Parking Eye Carpark Management. The letter said she remained in the car park for longer than the two hours limit and she must pay £100 within 28 days. Tracey, a hairdresser, was convinced something was wrong and drove back to the car park to check the signs. She took several photographs to prove the signs inform drivers they can park in the carpark for a maximum of three hours, with no return in two hours. Tracey is now refusing to pay the £100 parking fine after discovering the signs are giving motorists the wrong information. A number of workers in the surrounding shops said they believe their customers are being incorrectly fined. But they were unable to help Tracey as the management firm controls the car park and not the retailers. Tracey said she has attempted several times to call Parking Eye to explain her case but can only reach an automated system. She has also sent a letter of appeal, including the photographs, to the firm. Tracey, 51, said: “It happened just before Christmas - how many more people have had that letter through the door? She added: “They are really naughty for doing this, we have sent a letter of appeal it clearly states three hours. We had gone into PC World to buy a camera, we decided to come back on Boxing Day to get it cheaper. After Parking Eye were contacted by the M.E.N., a spokeswoman said the parking charge has since been cancelled. Dozens of disgruntled visitors claim to have received charges of £60 and more after driving through the gym car park to get to the social club - one of the only two routes to access the popular sport venue. Washlands Social Club chairman, Matt Seaborn, said: "I had a first ticket in January but I appealed it and got it quashed. "We've just been driving through the car park. There's something not right with the camera system. "The majority of people will drive through the car park now the bridge has shut." There are two car park cameras in the Workout Gym car park and on the bridge towards the social club. One is to clock whether cars are actually staying in the gym car park and the other is to recognise whether a vehicle is just passing through to get to the club instead of staying. 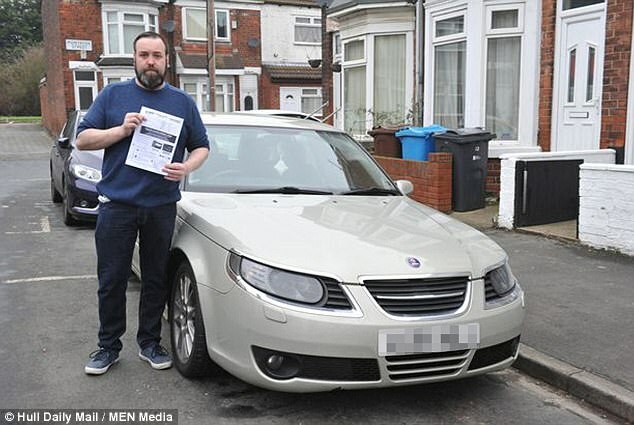 Father-of-three Simon Rushton, of Stretton, said he was taking his son to a junior football match at the Washlands Social Club back in February when he received an unexpected parking fine 10 days later. He believes the parking camera in The Workout car park picked his vehicle in on the way in but claims the camera on the bridge failed to recognise that he was only passing through. The 48-year-old said: "It's the camera on the bridge which is the problem, are far as they are concerned I parked there. You missed a bit DBC. Here is the full article. ANGRY drivers are allegedly having to fork out charges of £60 and higher after spending just seconds driving through a car park. Motorists say they have been slapped with hefty parking fines after driving through the Workout Gym car park in Wetmore Road, in Burton, to get to Washlands Social Club behind it in Meadow Road, Burton. "I went into the car park twice and came out twice, but they only gave me one ticket which was very generous. "I put a post on the Spotted Burton Facebook page and had a few replies from others with the same issue. "People have even paid the fines just to stop the hassle and threatening letters. "I'm still in the appeal process. The appeal has been turned down and then they employ a collections company, they will be knocking on doors soon and then it goes to the courts." Premier Park, the parking company which operate the cameras in The Workout gym car park, said it is unaware of any motorists driving through the site receiving unfair charges. In a statement, it said: "Prior to our involvement the gym often found their car park full of non-members causing inconvenience to genuine users and the issue was also starting to affect their business. "We implemented an ANPR system linked into a touchscreen terminal for members to register when visiting the gym and this system has resolved the issues with non-member parking. "There are two cameras to cover the entrances and exits at each end and we are not aware, from the thousands of vehicles using the site over a period of time, of any issues of vehicles driving through the site receiving charges. "Premier Park are members of the British Parking Association and also offer a full independent appeals service via POPLA. "We would urge anyone who believes they have been issued a charge incorrectly to contact us through the correct channels indicated on the Parking Charge Notice." Turns out that Premier Park have got form for this type of thing, which makes the statement "...we are not aware, from the thousands of vehicles using the site over a period of time, of any issues of vehicles driving through the site receiving charges" sound hollow to say the least. This is a bit of an unusual one, but I'm confident that this is the right thread for it, as they could not enforce this scam without using ANPR. If you know differently please let me know and I will sort it out. And by the way, it seems that for once IPC Ltd hold the moral high ground over BPA Ltd, which obviously isn't saying much given the low level of morals that have been achieved by both companies. Why did JustPark charge me £100 because I couldn’t input a letter ‘O’? When I parked in Brighton Metropolitan College car park the voice recognition system used by its payment app refused to let me input a letter ‘O’ for my registration plate, repeatedly insisting it was a zero. After several attempts I gave up and went with the zero. I’ve now received a £100 penalty. You had the presence of mind to make a recording of your attempts and it makes bizarre listening. Four times you enunciated O and four times it declared it heard a zero. I’ve received many letters from motorists over this issue but your experience is the most ludicrous. JustPark declares you experienced a “unique bug” and blames you. “Our internal system alerts us when our telephone system fails. However, as he confirmed the letter as a zero, our customer service team did not get the warning that this booking was incorrect. The driver could have contacted our customer service team by email or phone and we would have fixed the error,” it insists. The independent appeals service used by JustPark, the IPC, has advised all its members that a confusion over Os and 0s should not be deemed a breach of terms and conditions and it will overturn any charges issued for that reason. Its rival, POPLA, on the other hand, claims it can’t uphold appeals for that reason, although it encourages members to cancel charge notices as a “goodwill gesture”. JustPark has withdrawn its demand. Sylvia Newham, 60, received a £70 penalty charge after a private firm claimed she had been in an Aldi car park for more than 18 hours. In fact, what had actually happened is she visited the supermarket in Nuneaton in consecutive days in July 2018. 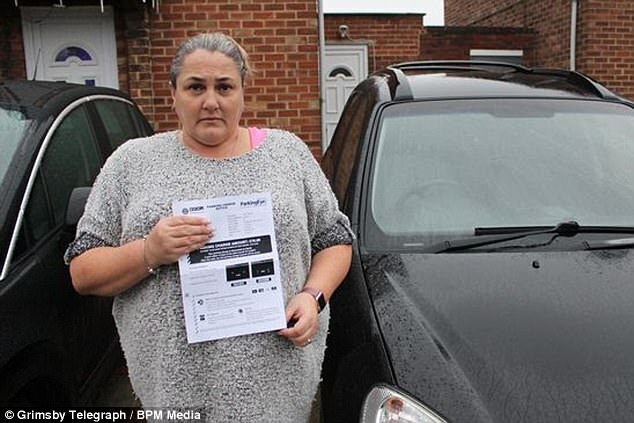 She did not have a charge stuck on her windscreen, but received a letter through the post a few days later asking her to pay £70 within 14 days. The retiree from Wolvey, Leicestershire, contacted her bank to prove she had made two separate transactions over two days, showing she had shopped twice. 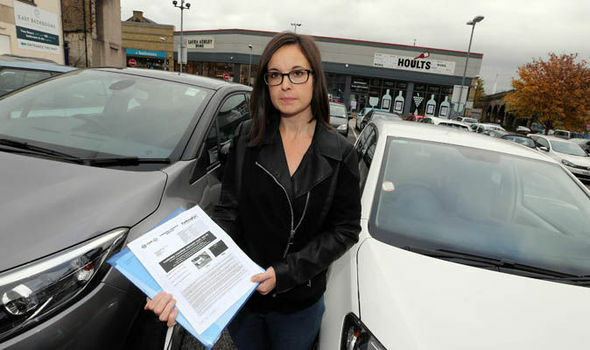 Instead of appealing to the private parking firm running the car park, she went directly to Aldi, who investigated her case and came back saying that the charge had now been suspended. A DRIVER has been slammed with a £50 parking ticket – while trying to leave a chaotic car park with no free spaces. Patrick Barry hit back at the “ridiculous” fee after he was held up trying to exit the car park in Portsmouth, Hampshire, by the queue of vehicles ahead of him. Unable to find a free space, the hairdresser tried to leave the lot - a process which took 12 minutes, 120 seconds longer than the parking rules permitted. The 30-year-old described the scenes of chaos as the car park failed to accommodate the spike in visitors coming to watch a charity run in the city. "Inside it was absolute bedlam – there were cars parked outside of bays, cars just abandoned everywhere, there was even a traffic jam inside,” said Mr Barry, who had headed out to go Christmas shopping. "It was like something out of The Walking Dead - like a scene from an apocalypse movie. "I knew there was no space from the moment I drove in, so got out as quickly as I could and thought no more of it." Mr Barry was forced to think about it again, however, when he later received the ticket from the NCP. "When I opened the letter I couldn't believe what I was reading,” he said. "I am being forced to pay £50 for the sake of two minutes, on what was one of the busiest days of the year – it's absolutely outrageous. "That time of 12 minutes is the fastest I could get out of the car park – why they didn't have any contingency plan in place for a busy day is beyond me." After car parks operator NCP were approached for comment they cancelled the fine – after causing Mr Barry significant distress. "After taking in to account the fact the car park was very busy on the day in question, we feel there has been an error on our side,” a spokeswoman said. "We do support city events and take delays into account as a company, but on this occasion, we failed to do so and we apologise for that error."